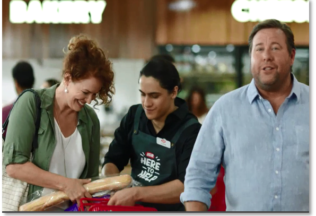 IGA has snagged beloved Australian actor Shane Jacobson again for another marketing campaign. Developed by creative agency The Monkeys, IGA’s latest “That’s the Spirit” campaign will communicate how IGA supermarkets help drive community spirit. The campaign will show IGA supermarkets tailoring their ranges to the community they serve, providing friendly service and supporting local suppliers. Television advertisements, digital, outdoor, press, in store display, social media and PR will all be used in the campaign. Metcash Supermarkets and Convenience CEO, Steven Cain, said IGA is excited to show how important IGA’s are to the communities they operate within. “IGA ambassador Shane Jacobson highlights all the ways that IGA supermarkets embody Community Spirit,” Cain said. That’s the Spirit will also showcase low priced products across several product categories including meat, deli, dairy and household needs. “We introduced Price Match in 2015 and we’ve found it to be a huge success,” Cain said.